What a VIEW!! Open layout ground floor condo in the scenic Harbor Vista Community. Beautiful views of peaceful waterways, streams, waterfalls (hear the sound of a waterfall from large patio w/storage) and located in the middle of the community. 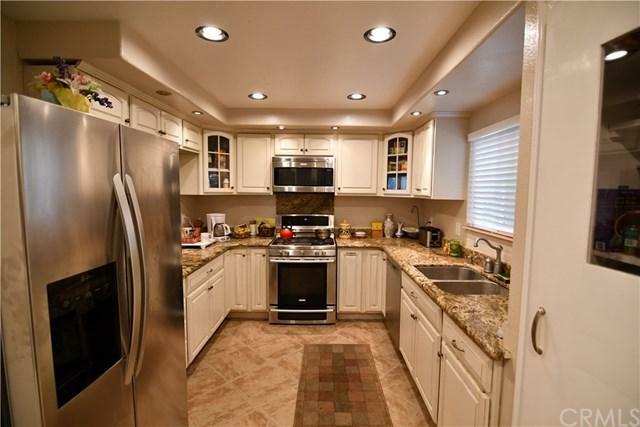 Kitchen has been remodeled (see photos) with cabinetry, granite counter tops, appliances, recessed lighting and upgraded flooring. 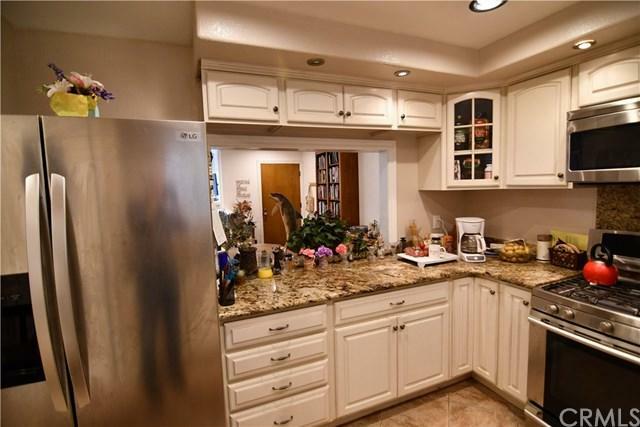 This home has two separate bedrooms with their own individual remodeled baths (see photos). Upgraded flooring through out, crown molding, dual pane windows/sliders, ample recessed lighting through out, coay fireplace, inside laundry room and workspace area off living room. You will absolutely love the tranquility of your location and all the upgrades. Home features a single detached garage (close by unit) and a parking space across from garage. 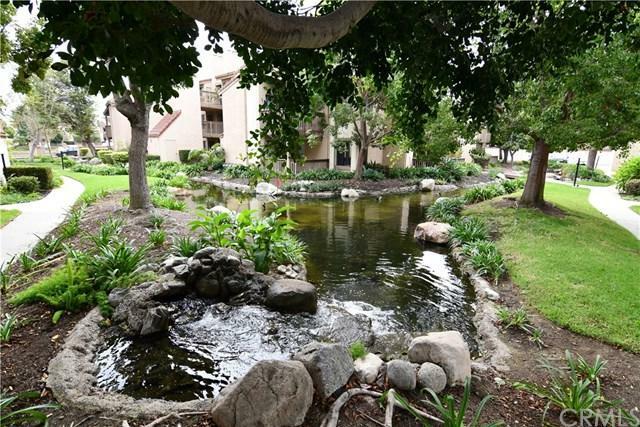 Enjoy the pool/spa, BBQ area, meeting room area surrounded again by a little lake & stream (located just down the walkway from unit). Just a short bike ride to the Pacific Ocean and all that Huntington Beach has to offer. This is the place. Call to see it today. 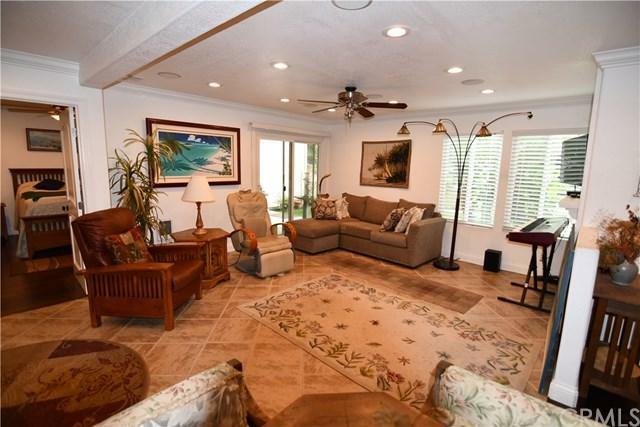 Sold by Kathy Fallon of Surterre Properties Inc..